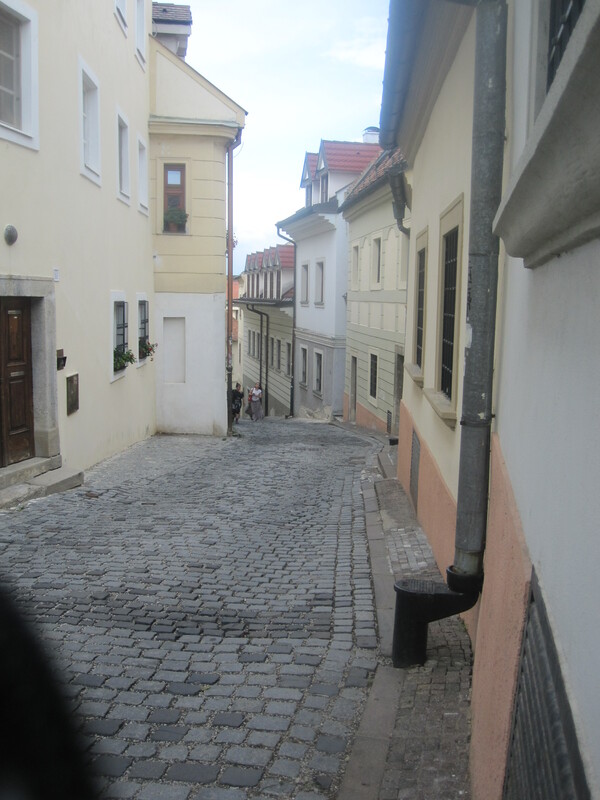 We said a big bye to Prague and moved towards Bratislava. While I was searching the net to find details on Prague and Bratislava, I came across this beautiful place called Telc (pronounced telsh). Mesmerised by the pictures in the website, we decided not to miss this special spot. We were truly wise and lucky this time too!! A place so calm and peaceful – would let one forget the busy – ‘running with the wind’ kind of lifestyle! 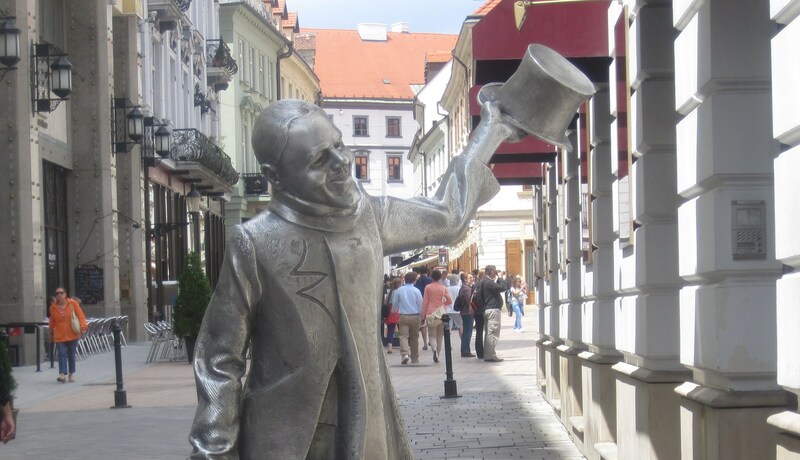 So, if you plan to visit Prague, Telc is a ‘not to miss’ zone, with the State Chateau of Telc and the historic square. You will be mesmerised by its stunning beauty! Shopping tip: I could also find some classy Bohemian Crystal Vases and many more collector’s items at much lesser cost in Telc than my search in Prague. 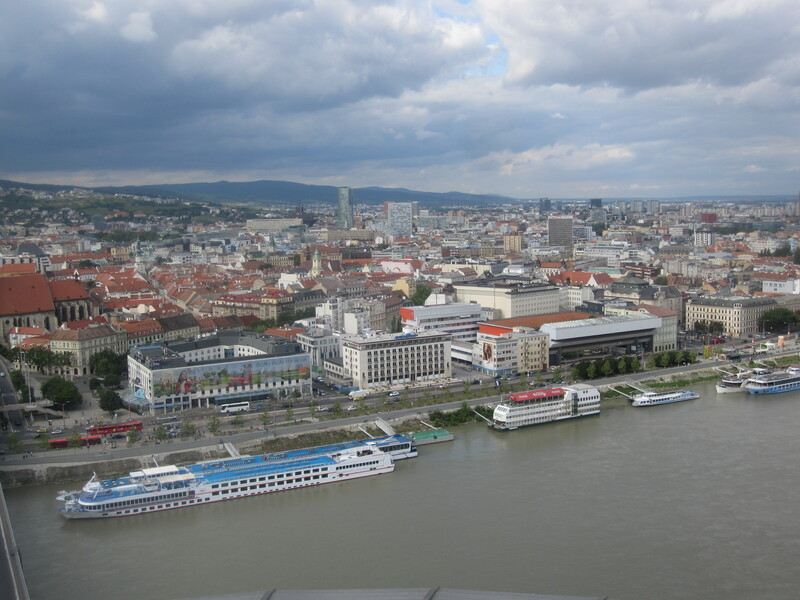 Then, we continued our journey towards the capital of Slovakia – Bratislava. 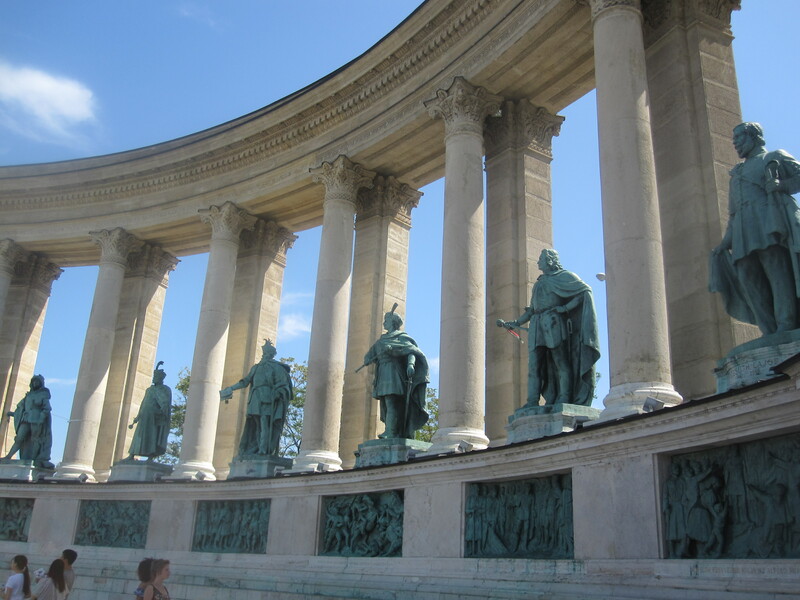 It is also called the small big city of Europe – small in size but big in its importance of historical sites. 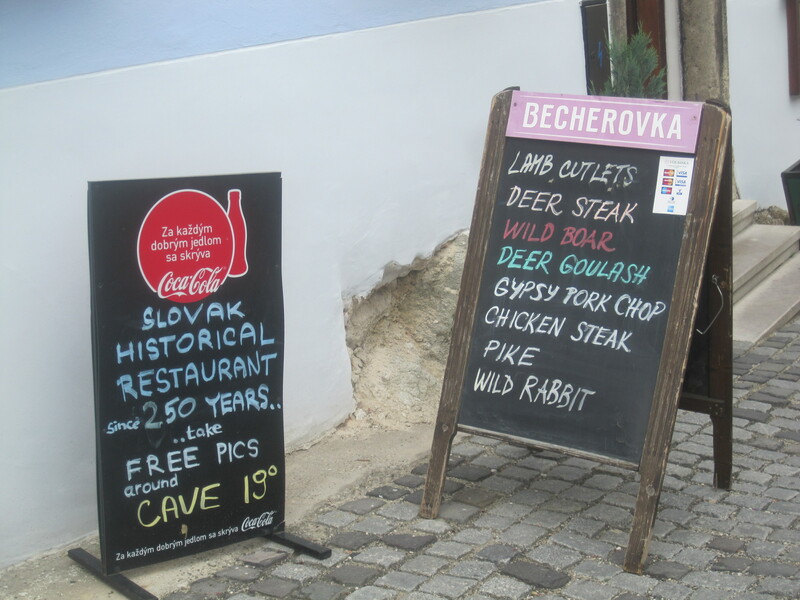 Since we stayed in the old city, all historical attractions were at walkable distance. 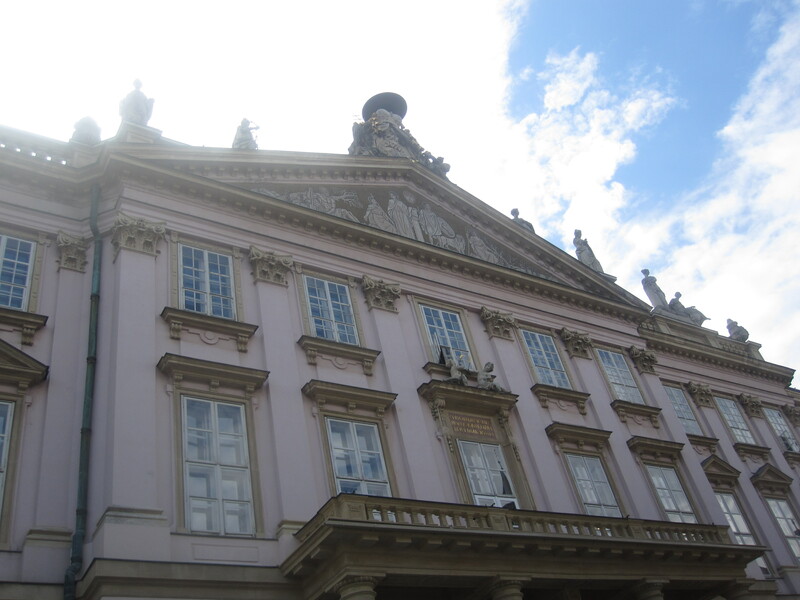 After a quick visit to the Information Office, we went to the Primatial Palace – which is the former archbishop’s winter palace. Today, the palace serves as the office of the Mayor. 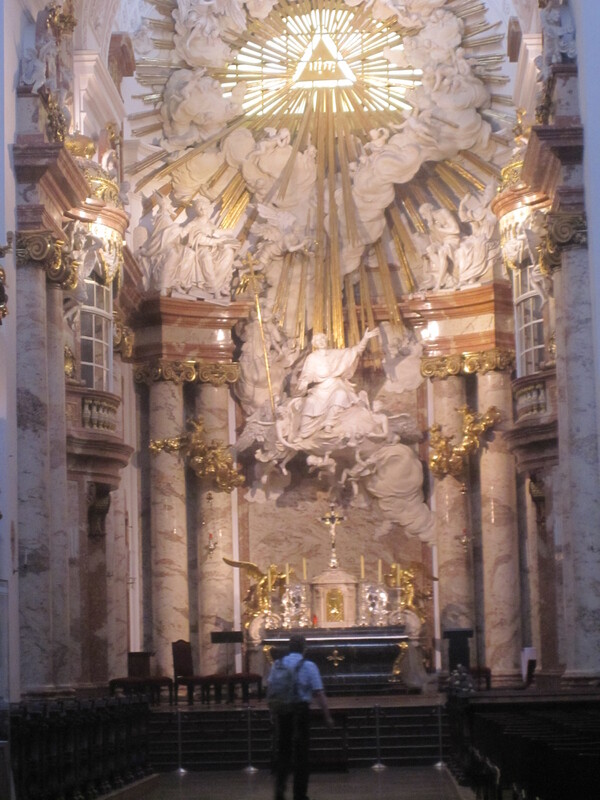 St. Martin’s Cathedral is the most sacred building in the town, where there used to be a Roman Church. 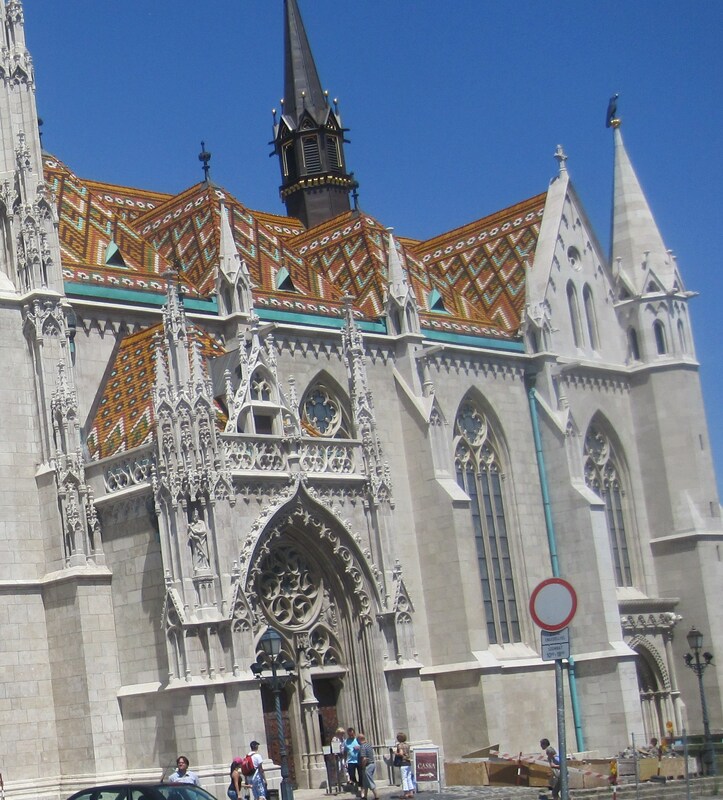 11 Hungarian Kings and 8 consorts were crowned in this Gothic Church between 1563 and 1830. 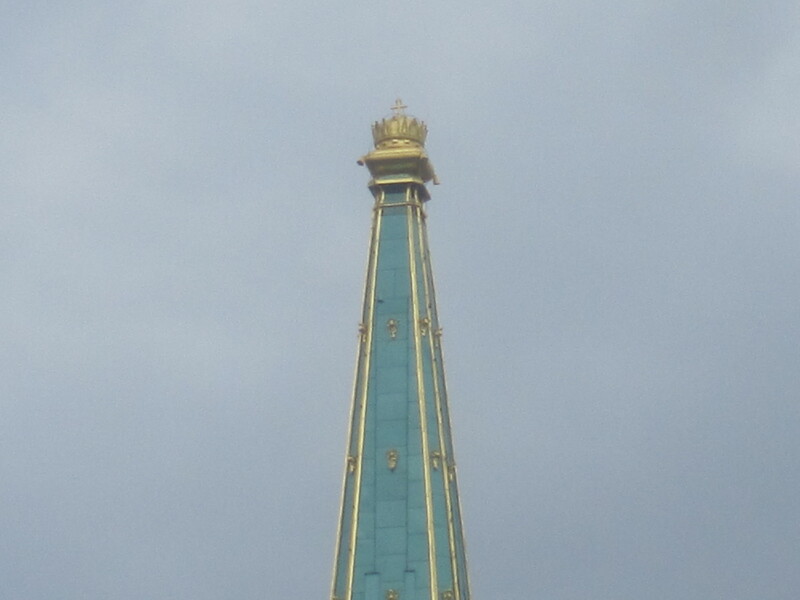 The tower of the Church has a huge crown on it. 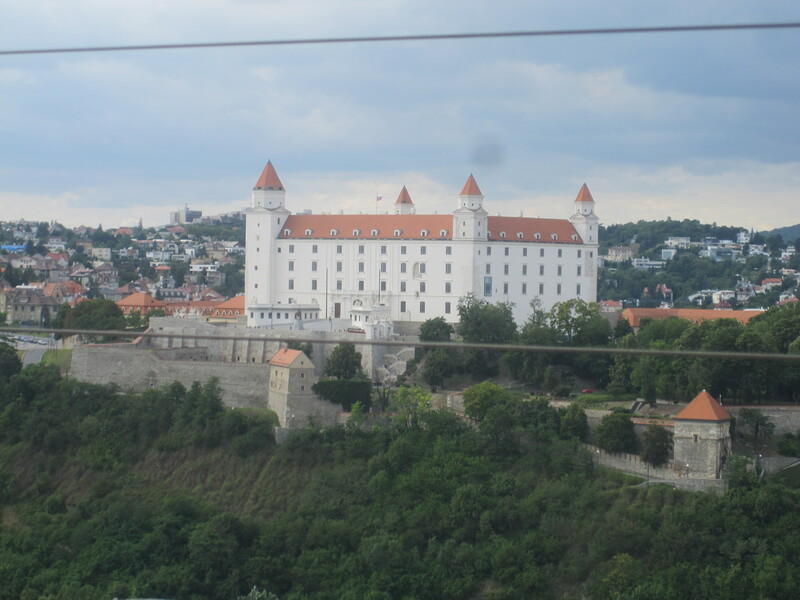 Bratislava Castle stands above the river Danube. 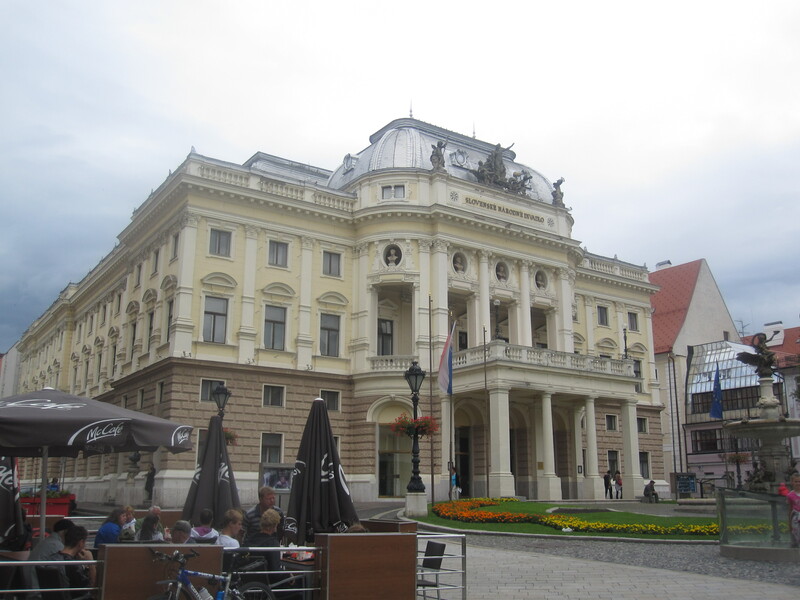 At present, the castle houses expositions of the Slovak National Museum and some of its premises are used by the Slovak Parliament. The Roman settlement on the Castle mount dates to the end of 1st century A. D. After the territory fell under the rule of Germanic tribes that came to conflict with the Roman empire. 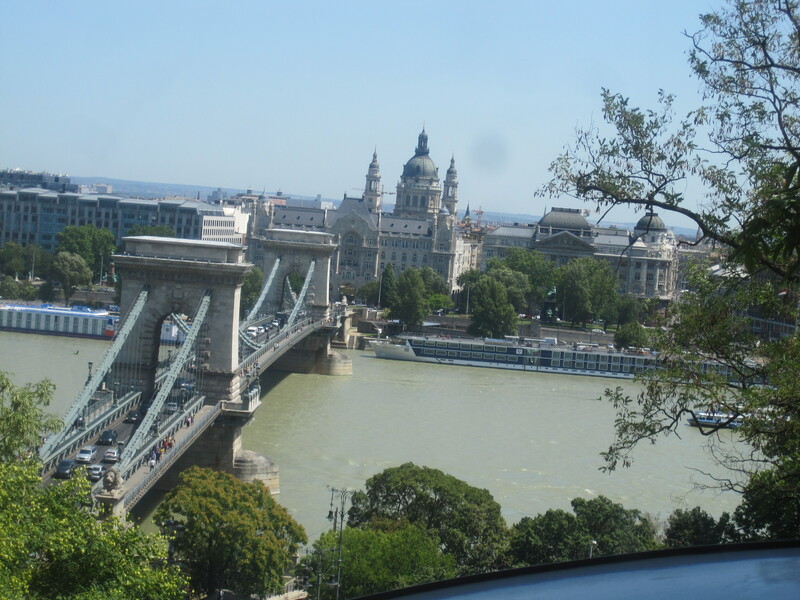 Next destination was Budapest, Capital of Hungary. 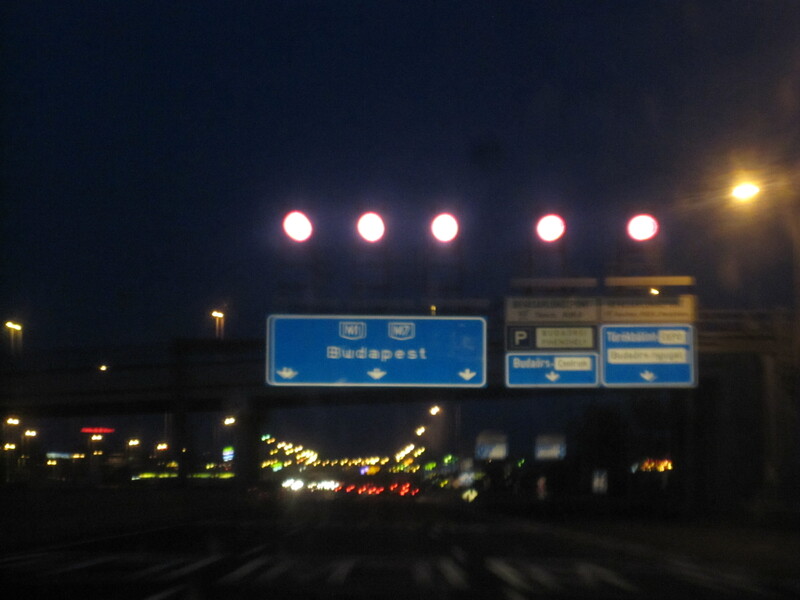 When we entered Budapest, it was late night. 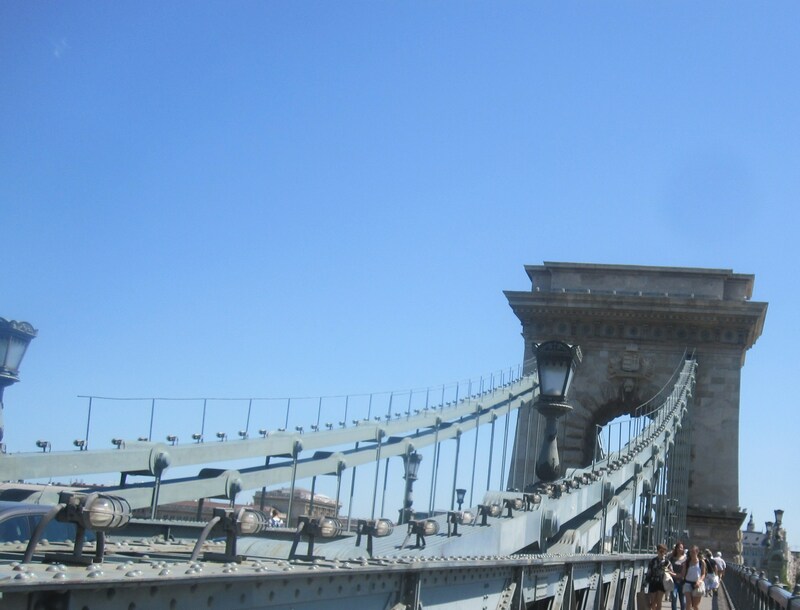 We were astonished by the well lit Chain Bridge and Buda Castle, and the whole of the mainland city made us feel we had entered a Royal City. 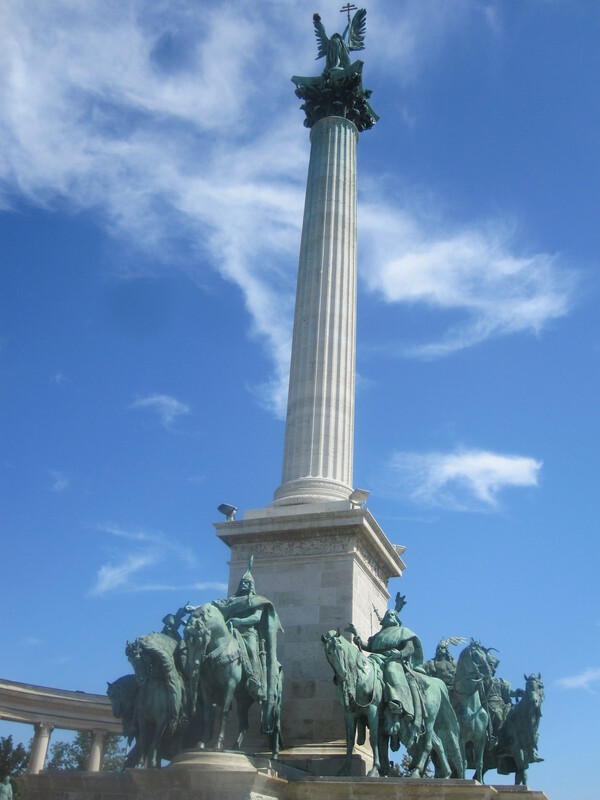 We took a hop-on-hop-off tour and could do a bit of justice to the most important places in Buda and Pest. This boat is a part of the hop-on-hop-off tour. 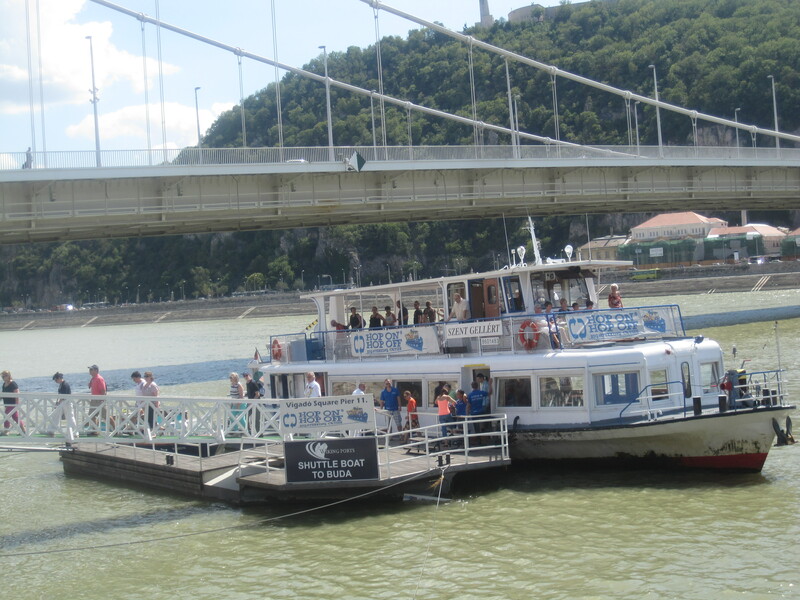 The view of the beautiful buildings from the boat in the River Danube was certainly a memorable affair. 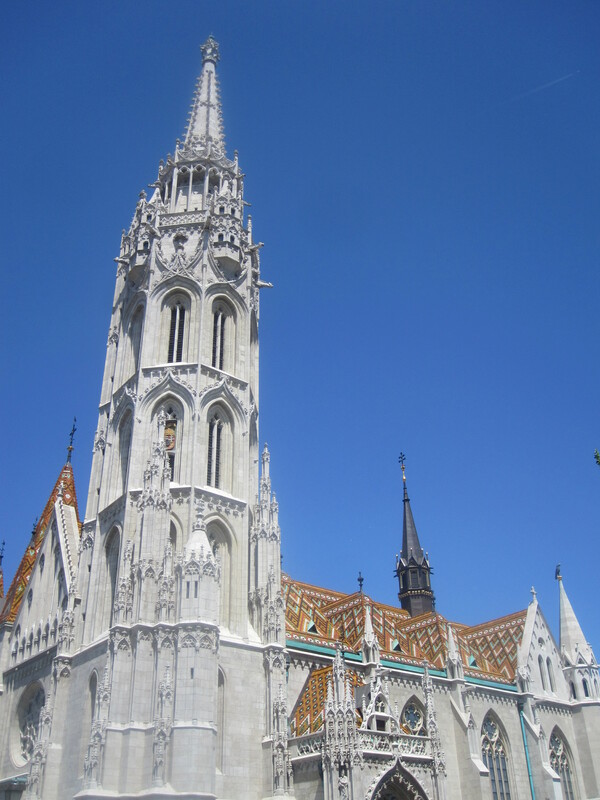 The Hungarian Parliament is certainly the most impressive monument that I have seen in Budapest. 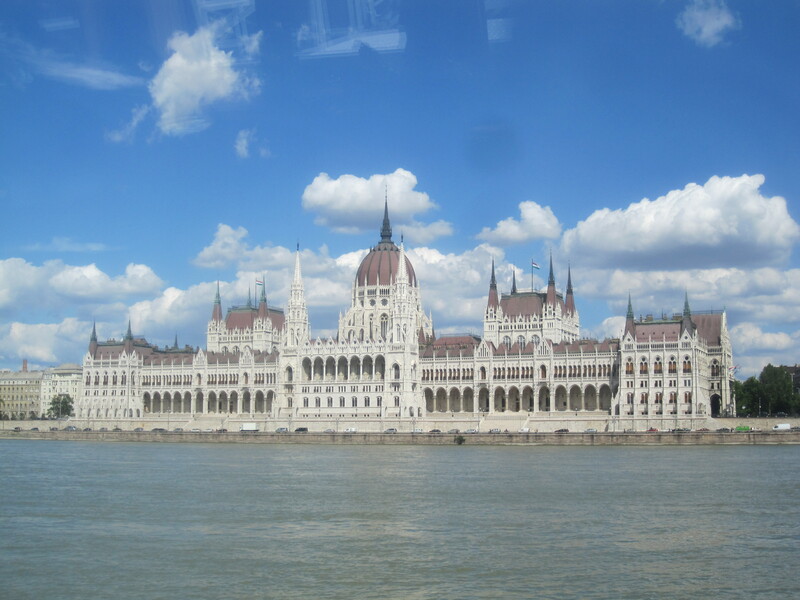 The view of the Parliament from the river Danube is amazing! 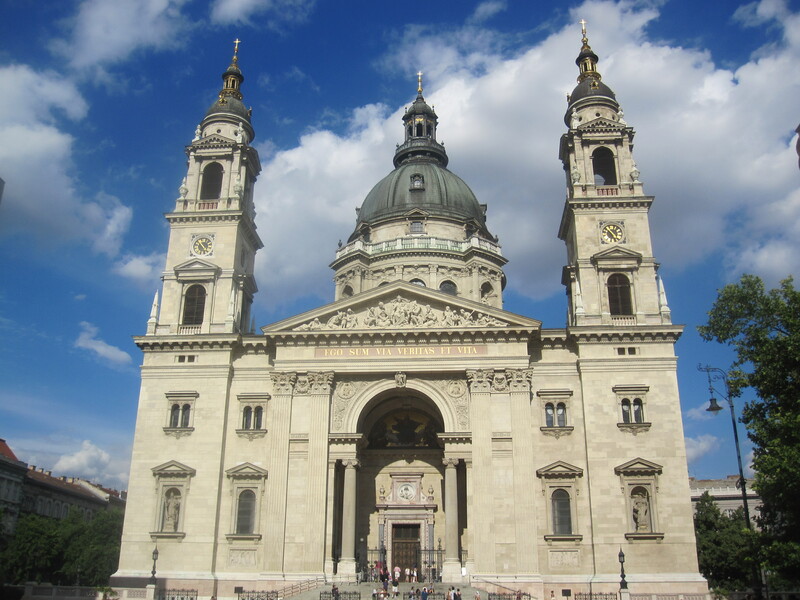 The Bascilica is named after the first Hungarian King Stephen, who helped Christianity enter Hungary. 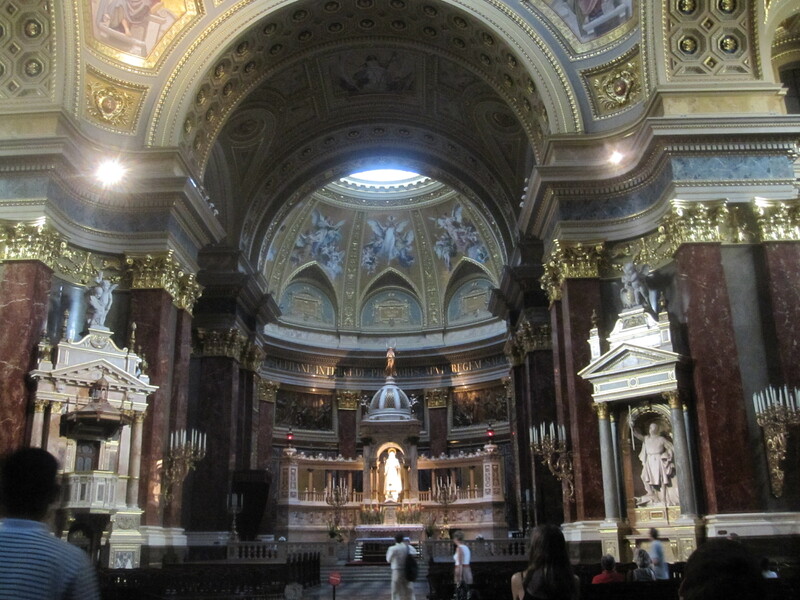 This is the largest church in Hungary. The most famous article inside, is the right hand of exactly, King Stephen. 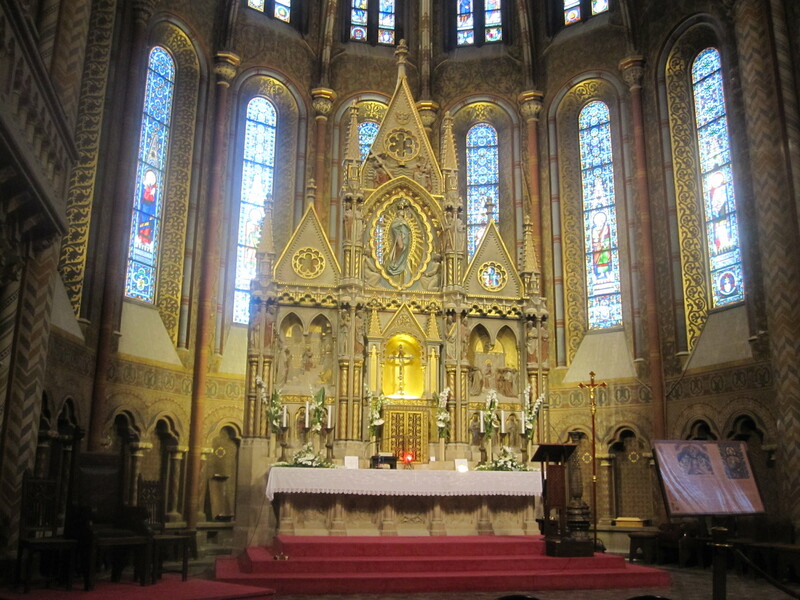 Mathias Church is a very different landmark – also called the Church of Our Lady, the colourful exterior and interior walls are very unique. 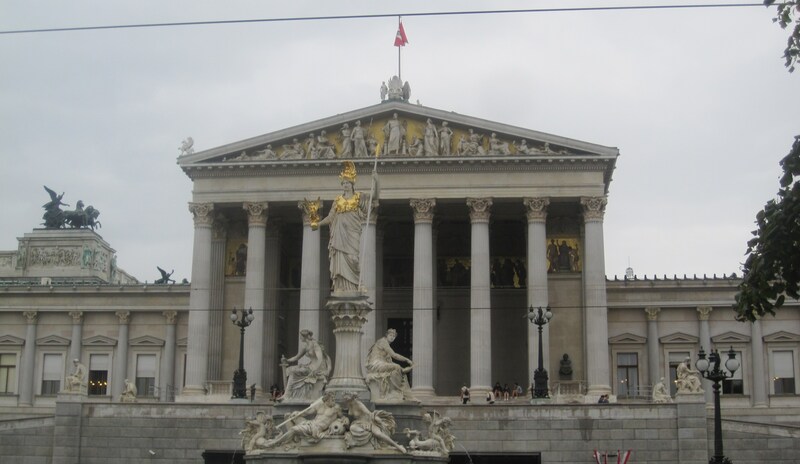 Now, we move on quickly to our next destination – Vienna, capital of Austria. The first thing that comes to our mind when we think of our trip to vienna is their excellent connectivity through metro stations. All the main destinations are very well connected that makes a tourist feels so much at ease and comfort. 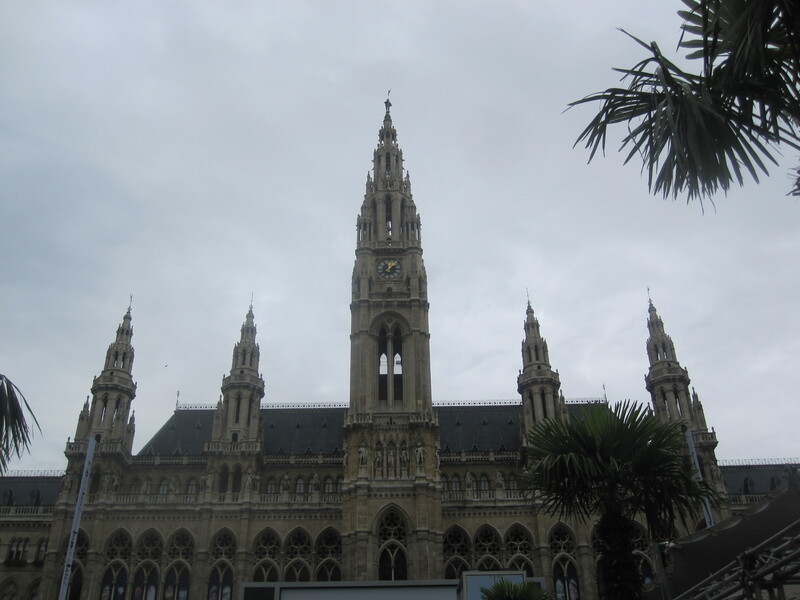 This was originally a medieval castle and now is home to the National Library, Imperial Treasury, and has a collection of musical instruments and weapons and many other exotic things. 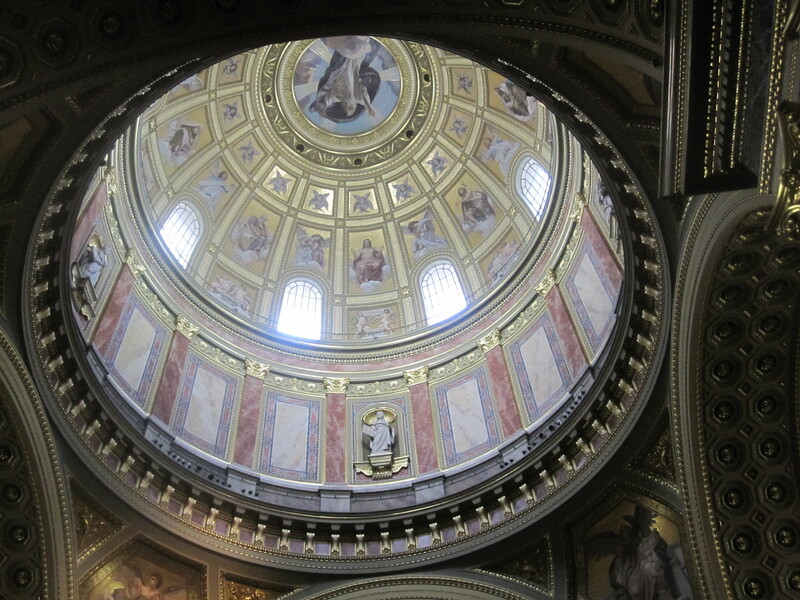 The church has a panoramic lift, which offers a spectacular view of the city. A lift inside a church was quite interesting! Schonbrunn Palace was the summer residence of Austrian Emperors and used to be the summer residence of the royal family until 1918. 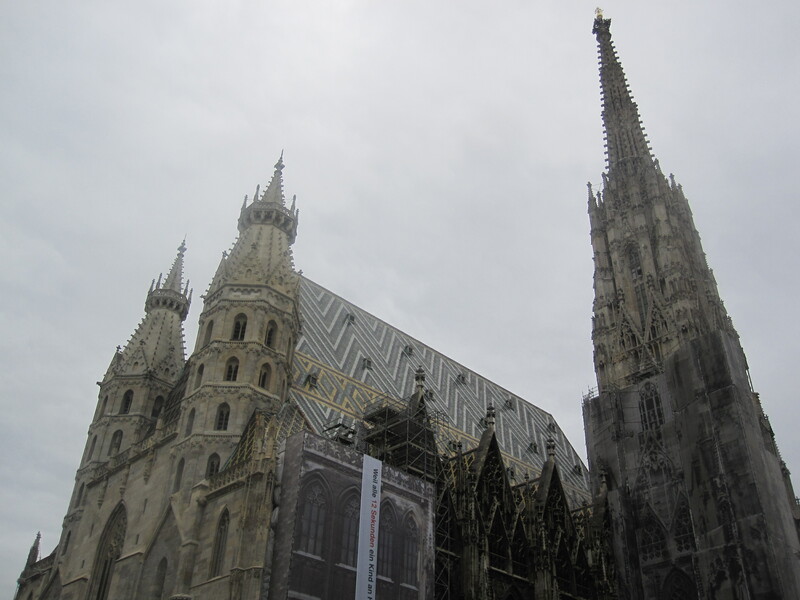 St. Stephen’s Cathedral is the seat of Arch Bishop of Vienna. It stands on the ruins of two earlier churches, first consecrated in 1147. 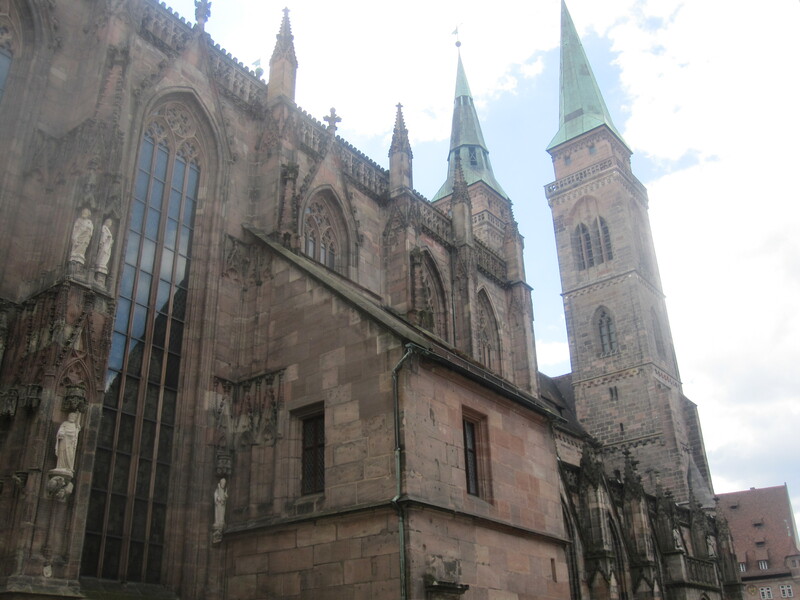 After the spell binding tour, we travelled towards our fifth city, Nuremburg in Germany. 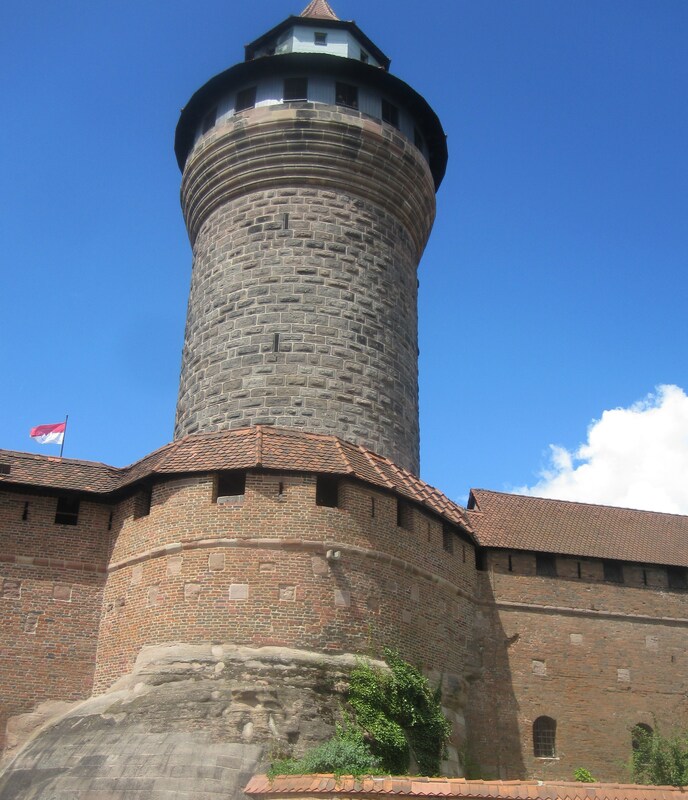 We did nothing of the nuremburg trial related tourism. 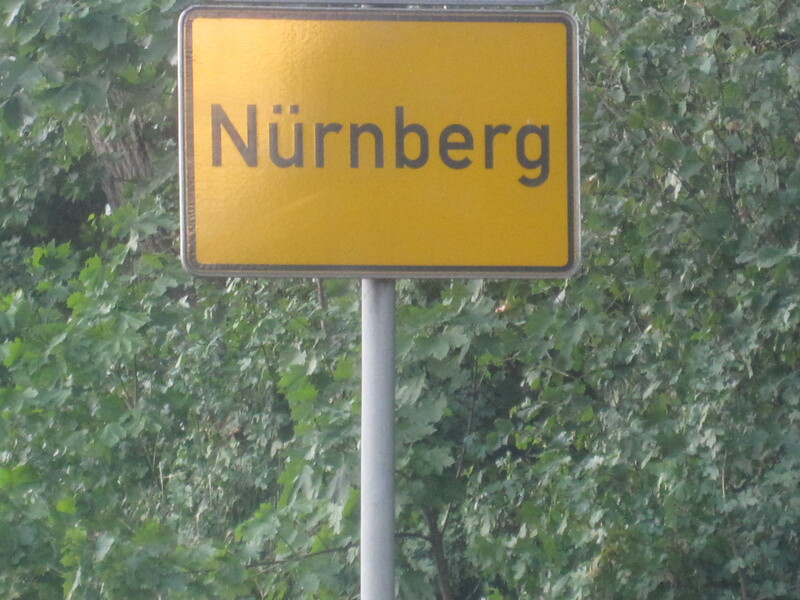 We chose Nuremburg as a stop gap destination to proceed towards holland, after a long drive from the previous place Vienna. 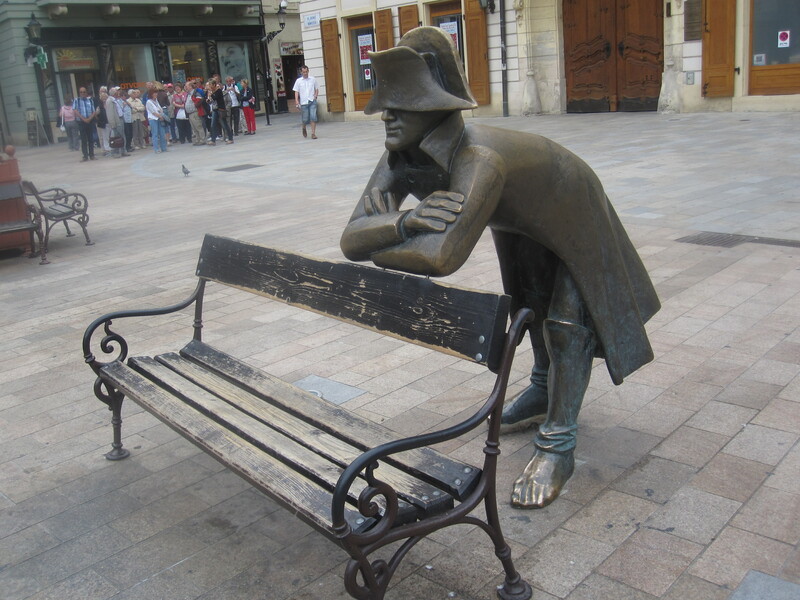 It turned out not only to be a relaxing but also a lively and picturesque city. 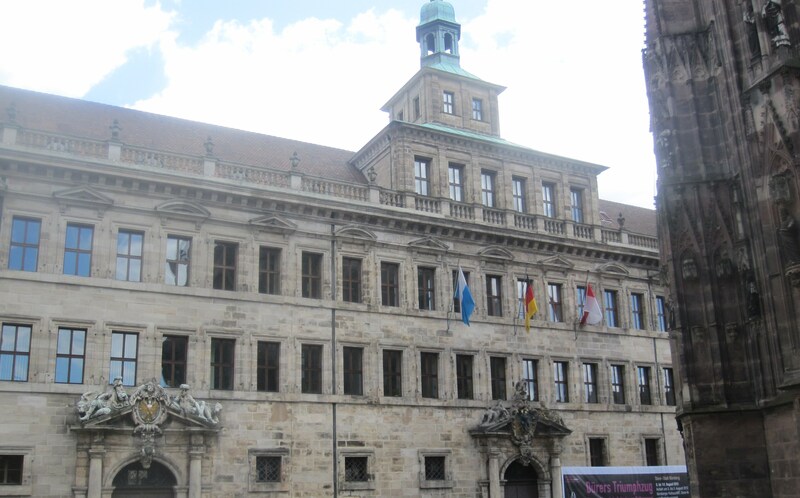 We visited the Kaiserburg Castle and the Main Square of the city – the Town Hall Square. 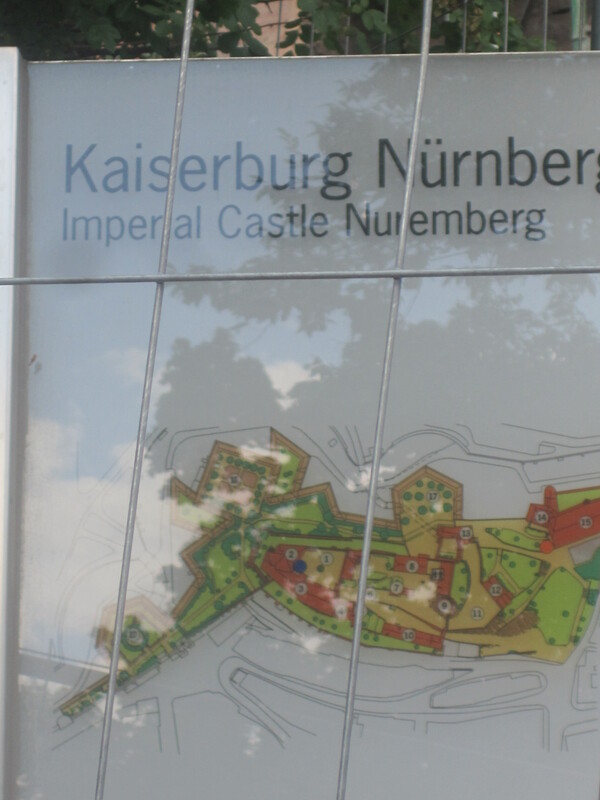 This was one of the most important fortified imperial palaces of the Old Holy Roman Empire. The Town Hall Square is marked by historic buildings and monuments inclusive of the Town Hall, St. Sebald’s Church and the Church of our Lady. 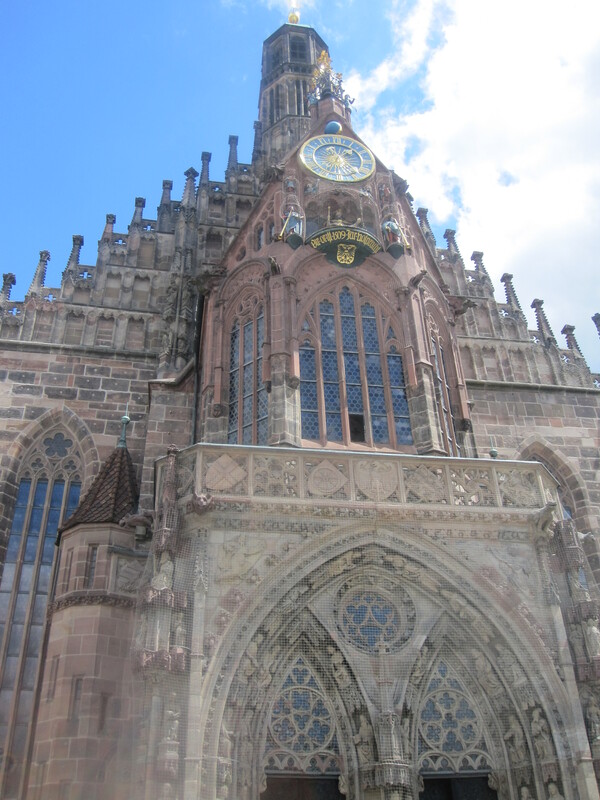 This is the oldest city parish church built in 1215. While we wandered for quite a while in the town hall square, there was a fair going on – a sunny summer sunday! 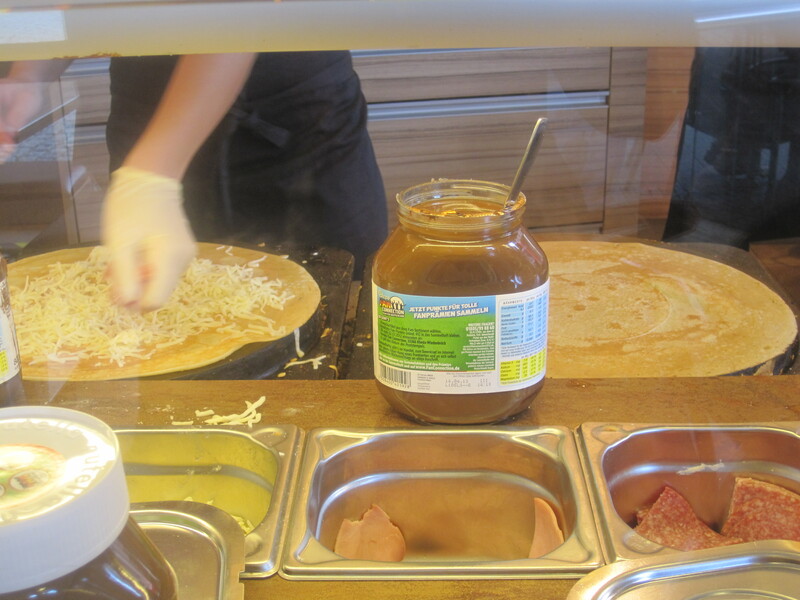 Amongst those beer shops and live rock music stuff, we found a crepe shop and clicked a few snaps while the efficient lady of the shop was making them. 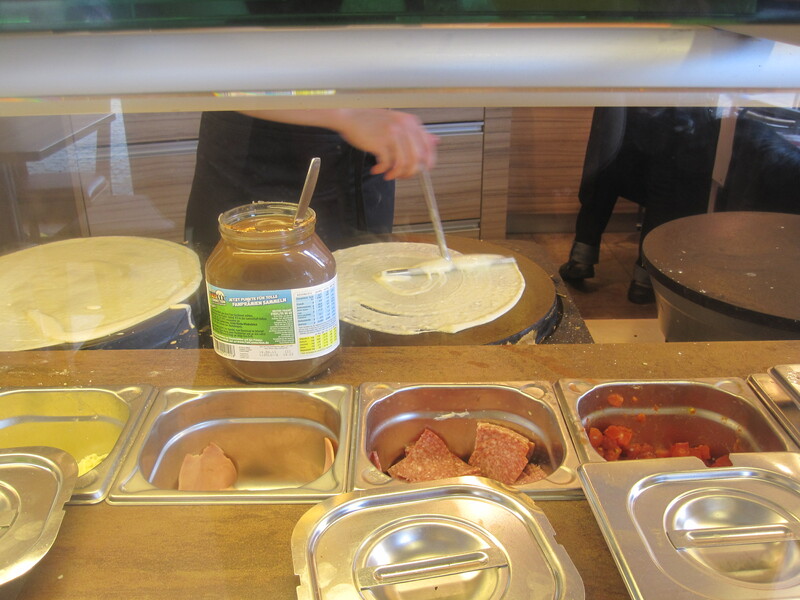 Crepes, Pancakes, Pannekoeken or Dosais – everything needs the artistic movement of hands to make them perfect. It reminds me of our Gothumai Dosai (South Indian Pancakes made of wheat flour) and Maida Dosai (the same made with all purpose flour). The South Indian version always needs a spicy chutney (thakkali-kaara-chutneyspicy-tomato-chutney/) or sambar (sambar/) to go with it!! I think it has been a long time not discussing food. See you soon with some of those I have missed so long! 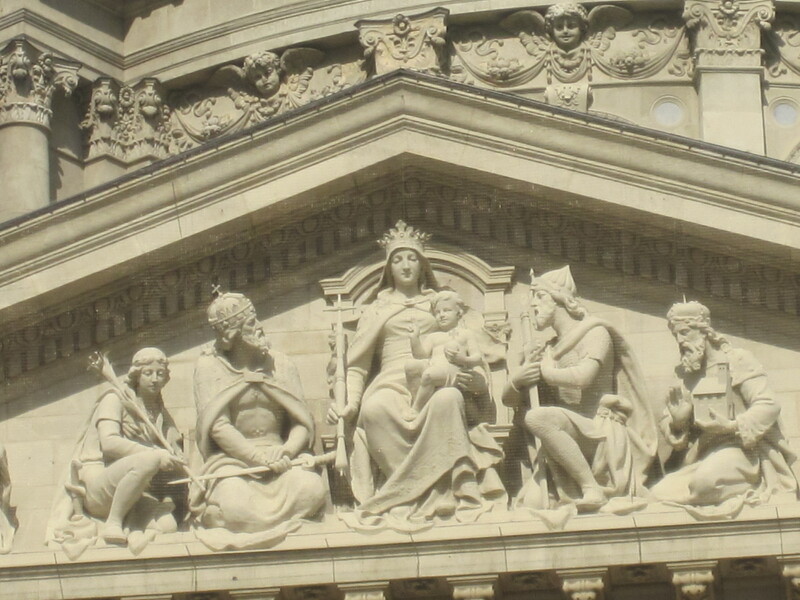 Previous Post Tale of five cities – Part I! What a great adventure – so brave, and so wonderful. 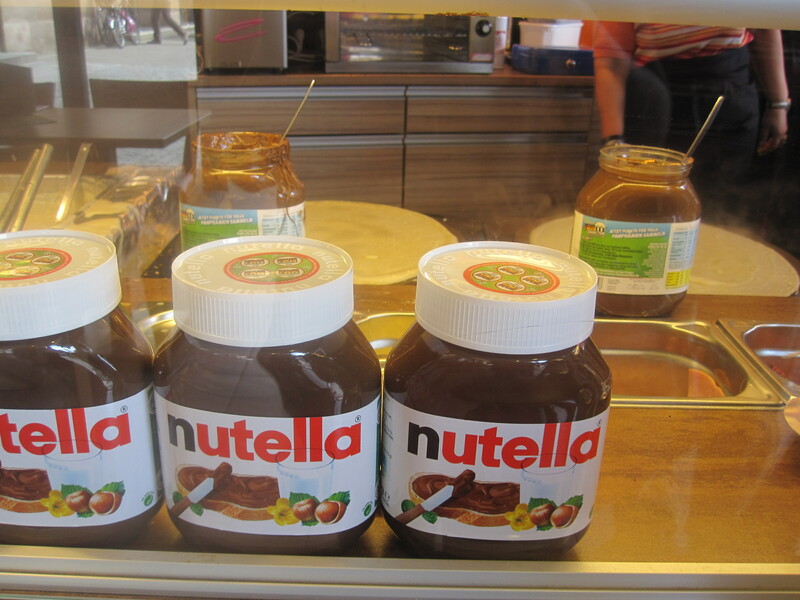 I love Eastern Europe!